Watch L.A. 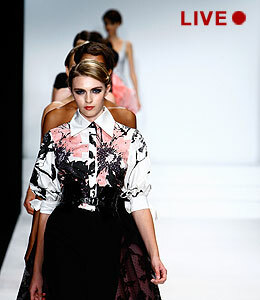 Fashion Week -- Live! You want a runway view of L.A.'s fashion event of the year, right?! "Extra" is giving you a true insider's glimpse at L.A. Fashion Week! We'll be streaming LIVE from the biggest runway shows at Smashbox Studios in L.A. -- all you need to do is check back at the following times and click this link to be transported inside!